Nigerians hope that the present administration will sanitize the system where things like secretive employment, corruption and nepotism will be things of the past. Regrettably the administration is characterized with a high level of preferential treatment at the detriment of the Nigerian masses who sacrificed a lot and spent hours under the sun to vote for the administration. Electorates are overwhelmingly awaiting the February 2019 presidential polls to vote for a far-reaching departure from lip service toward fighting corruption. 2019 is going to be maintaining a change versus changing the change as Nigerians are anxious to get a glimpse of how the elections will look like, unlike in 2015, when change battled continuity. One of the issues at the centre of the election campaign is that of fighting corruption by the present administration and how the opposition party intends to fight corruption if emerging victorious. Indeed, corruption must be seen as a cancer worm that has eaten deep into the fabric of the nation. To understand its level in the country, Nigerians are living witness that in any address made by serving and ex-presidents claimed to fight against corruption. Inspite of the president’s good intentions toward the country, but due to what can be called indecisive action on many issues that ordinary Nigerians were expecting to see him acting as he did when he was a military Head of State, but such inaction cost the nation the very best of his good intention towards fighting the menace. But unfortunately, things like this have continued to happen under PMB‘s watch at an alarming rate, and the most painful part of it is his continued silence especially when many disheartening scandals rock his government officials. 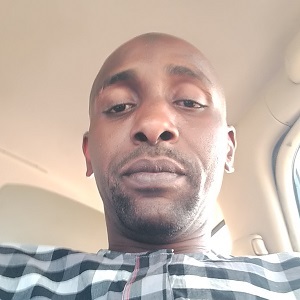 The Nigerian masses are irritated and puzzled by PMB’s leadership style of governance as the masses and even real Buharists are not blindsided, one even condemning and frowning at it in totality. Nigerians couldn’t imagine that a prejudice of this nature could happen under PMB’s leadership, nearly now the end of his first term in office. As on several occasions, President Buhari reiterated that he would fight a just and total war on corruption without selective approach, but the corruption appears to be skirmishing him back over the last three years. Despite being highly profiled, only two corrupt Nigerians were convicted with various prison terms. Notwithstanding the administration’s most celebrated highly profiled corruption cases like Defencegate, Dasukigate and PDP campaign funds, still almost four years into the administration, there were no convictions of the alleged looters. Millions of Nigerians are not induced with the way the administration is conducting its war on corruption because the brawl is not moving so fast, as the Buhari-led administration’s fight against corruption lacks transparency and allows for rules to be subverted without appropriate sanctions as there is no effective mechanism to enforce the laws of the nation and blame the ineffectiveness of Buhari’s anti-corruption war on weak anti-graft institutions. Corruption poses critical challenges to Nigeria’s economic and social development, corruption not only diverting resources from legitimate causes beneficial to the society at large, but denying millions of people their fundamental freedom and human rights, such challenges posed by systemic corruption contributing to the perpetuation of poverty and the hindering of economic opportunities. 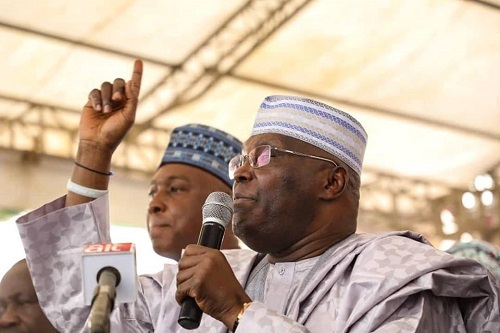 The opposition party presidential candidate of the People’s Democratic Party (PDP), Atiku Abubakar vows to fight corruption effectively if emerging victorious. In his policy document he promised to fight the scourge of corruption in Nigeria better than the current administration has done. As part of immediate actions to combat corruption under his government, Atiku said he would launch a comprehensive National Anti-Corruption Strategy based on the rule of law, separation of powers, neutrality and non-partisanship so as to reposition and refocus all anti-corruption and law enforcement agencies within the remaining 100 days in office and also support and transform the capacity of the criminal justice system to deal with corruption and corrupt practices in a more efficient and effective way. His administration also proposes to initiate measures aimed at changing public perception towards corrupt practices especially the transferring of ill-gotten wealth to foreign accounts. The People’s Democratic Party (PDP), Atiku Abubakar highlight his administration would create special tribunals to try corruption cases sent to it by the relevant anti-corruption agencies as well as speed up judgments on outstanding cases of corruption and ensuring plea bargains are not abused and this can achievable by ensuring that judgments on corruption cases are fully followed through and enforced by the appropriate law enforcement agencies. He will ensure also promised to review and expedite action on the passage of all existing and pending new laws or amendments to all anti-corruption laws currently in the National Assembly and encourage all anti-corruption agencies to enjoy a seamless and rancor-free relationship with the office of the Attorney General of the Federation in order to improve the efficiency of the anti-corruption drive of the Federal Government. Peoples Democratic Party (PDP) Presidential candidate promised electorates that if elected his administration will would focus on building strong anti-corruption institutions that cannot be manipulated by personalities, while also establishing a culture of accountability, effectiveness, efficiency and transparency, his administration also ensuring the rigorous enforcement of judicious use of public resources, with zero tolerance for nepotism, corruption and poor management. His government also proposes to make anti-corruption agencies totally independent of government interference and control, delineate the functions of the Independent Corrupt Practices and other Related Offences Commission (ICPC), the Economic and Financial Crimes Commission (EFCC), Code of Conduct Bureau, Code of Conduct Tribunal and other law enforcement agencies, and reinforce the abilities of the anti-corruption and law enforcement agencies through improved funding and improved conditions of service to enable the agencies to perform optimally. One of the greatest challenges tormenting anti-corruption agencies’ activities in the country is nepotism, partisanship and lack of political will and the impartiality to deal decisively with corruption cases, the absence of a coordinated national anti-corruption strategy that fosters transparency and accountability in a non-partisan manner meaning that the present administration’s fight against corruption cannot happen again if elected. To achieve a just and fair fight against corruption there is a need to make perpetrators of corruption serve as deterrents to others, anti-corruption agencies ensuring that adequate punishment is meted out to whoever is caught. On ways to cut down on the prevalence of corruption in Nigeria, Atiku said he would establish a reward system whereby a comprehensive review and increase of salaries of all public officers within the federal services, law enforcement and armed forces would be executed and the concept of “FAIR PAY for FAIR WORK” would be emphasized from the highest levels of government while also promising that all public workers would be adequately rewarded and compensated, thus providing the government with the moral authority to sanction errant public workers. Many Nigerians are anxious to get a glimpse of how the elections will look. Unlike in 2015, when change battled continuity, 2019 is most likely going to be maintaining a change versus changing the change. 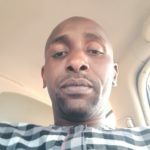 A Kano based media practitioner and public commentator for 13 years with many articles published by a number of online mediums and print media who can be reached at abbahydukawa@gmail.com.